Welcome to my blog! My name is Stephanie. I'm a dermatology physician assistant (PA-C). I went to the University of Florida for both my bachelor degree and for master degree in physician assistant studies. I graduated from PA school in 2014 and then I worked in family medicine for 3 years before transitioning into dermatology. I'm passionate about skincare and helping people look and feel their best inside & out! I also love fashion. 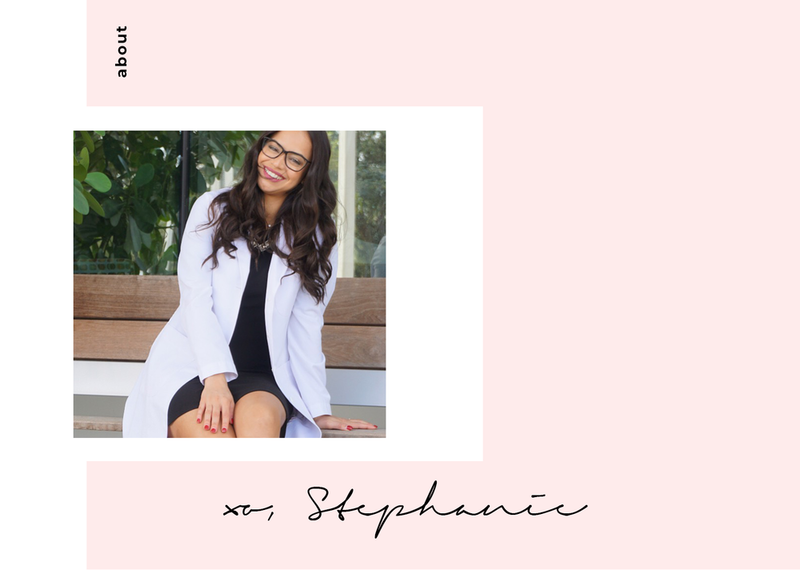 I made this blog as a creative outlet to write about skincare and products that I love, to display my “white coat style,” and to spread awareness of the PA profession.